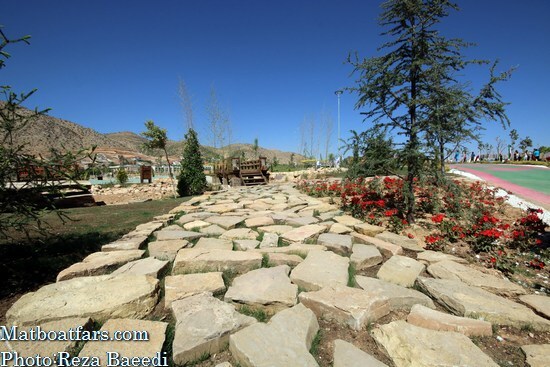 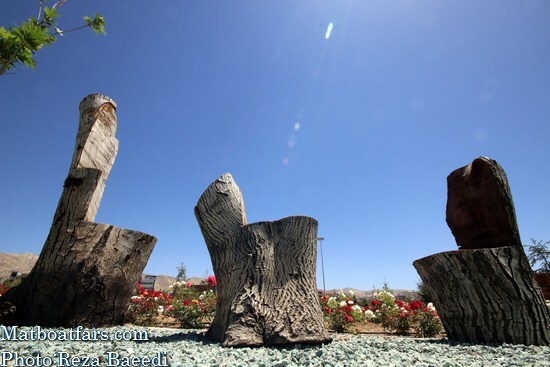 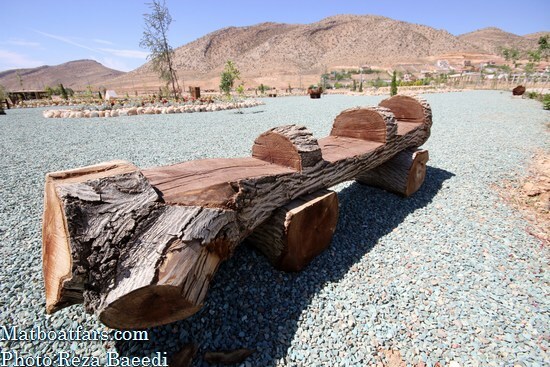 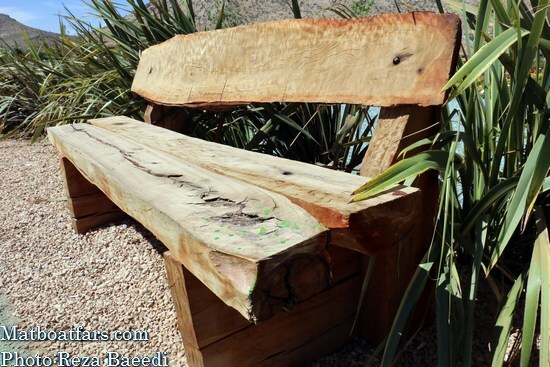 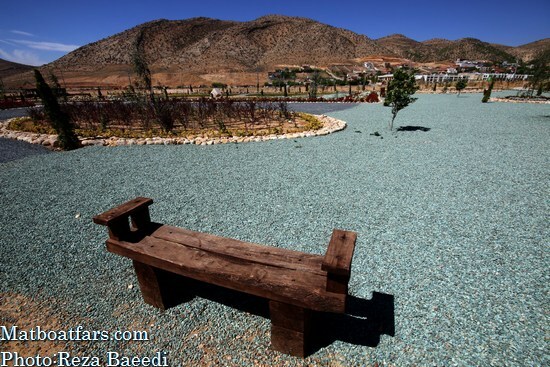 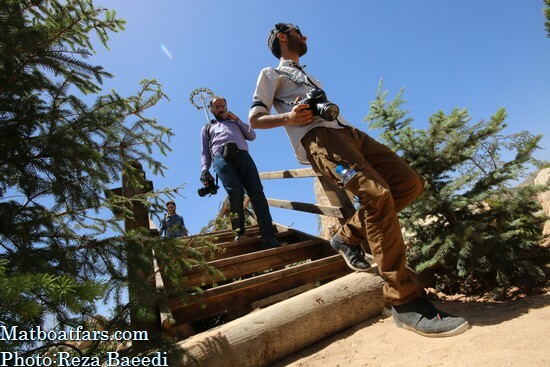 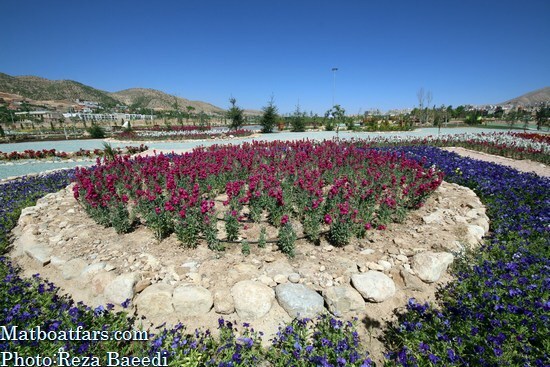 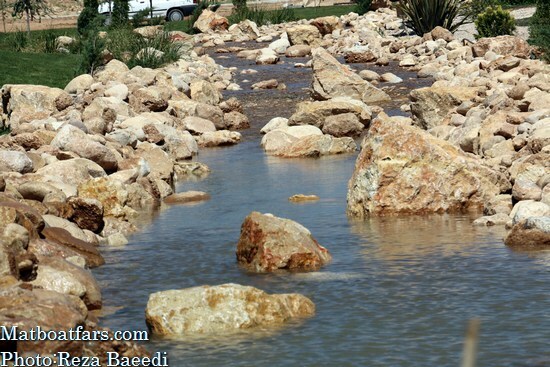 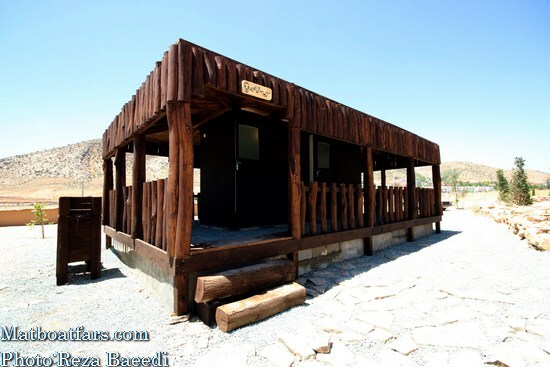 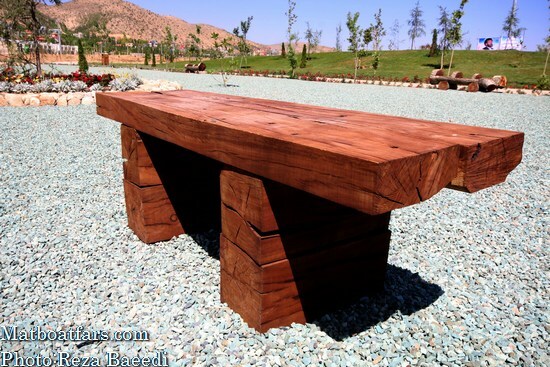 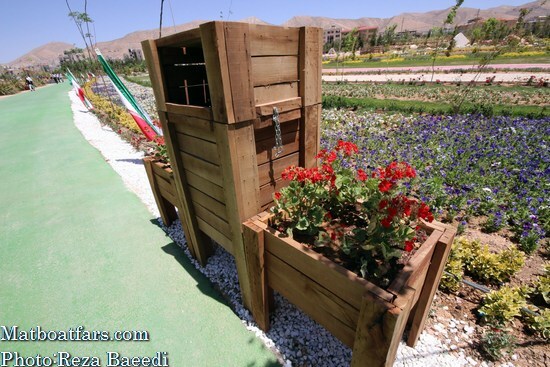 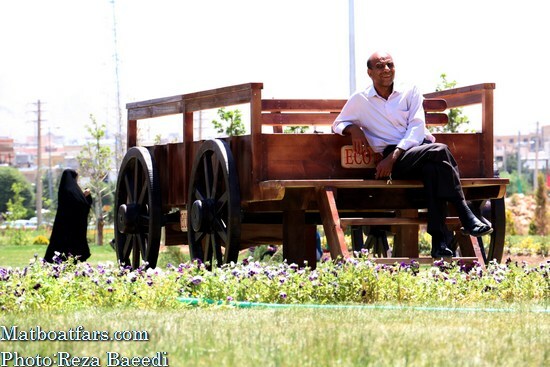 EcoPark recently constructed and opened to the public roughly three weeks ago in Sadra, a suburb of Shiraz. 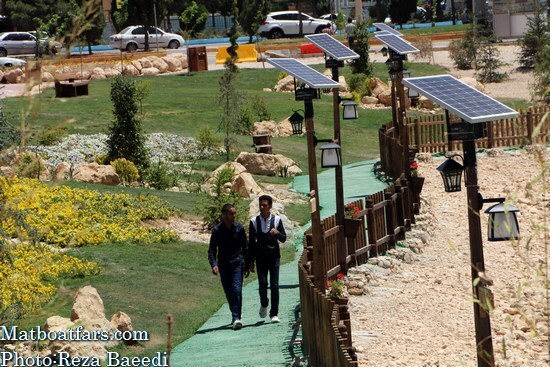 Note solar-powered park lights adjacent to foot path. 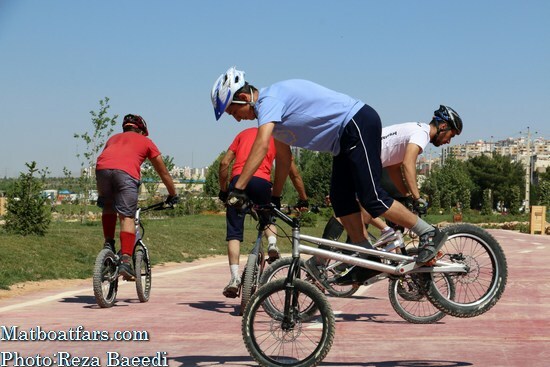 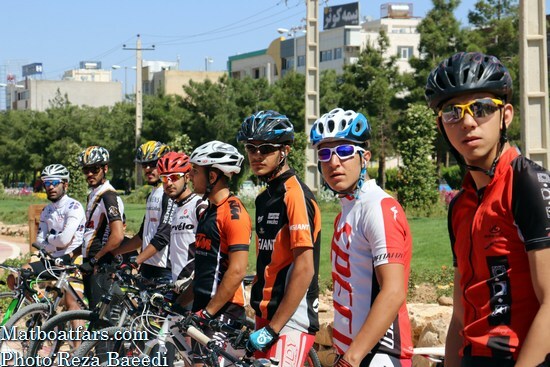 Bicycycle club on hand at Eco-Park opening to the public. 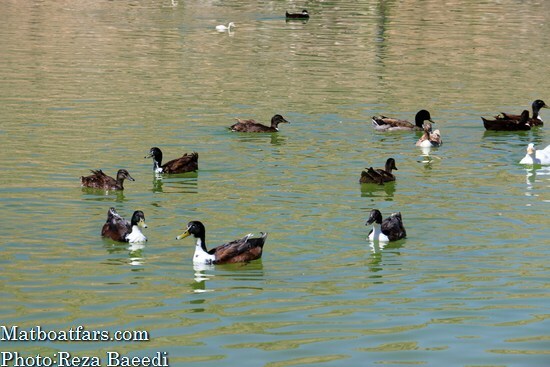 They appear outfitted among a higher standard of living. 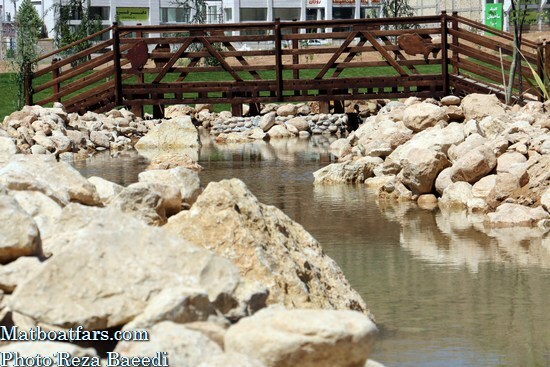 Great they built an "Eco-Park". 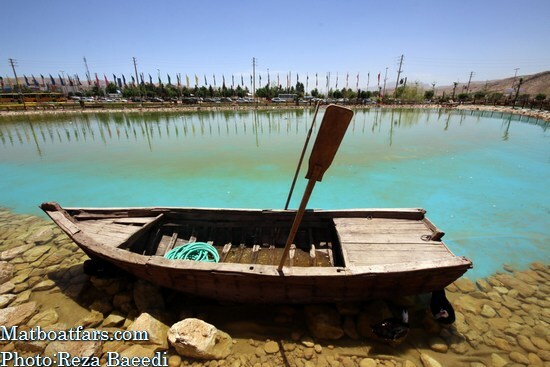 While more than half of Iran's nature from lake Orumiyeh to Mazandaran forests has been left in utter ruins!